Actually, this isn't one of them but if the imagery of middle-aged naked men parading naked around a locker room is unappealing or distasteful to you, you might want to look away or at the least, avert yours eyes. Because that's what I've been doing the last several weeks. Well, not entirely. 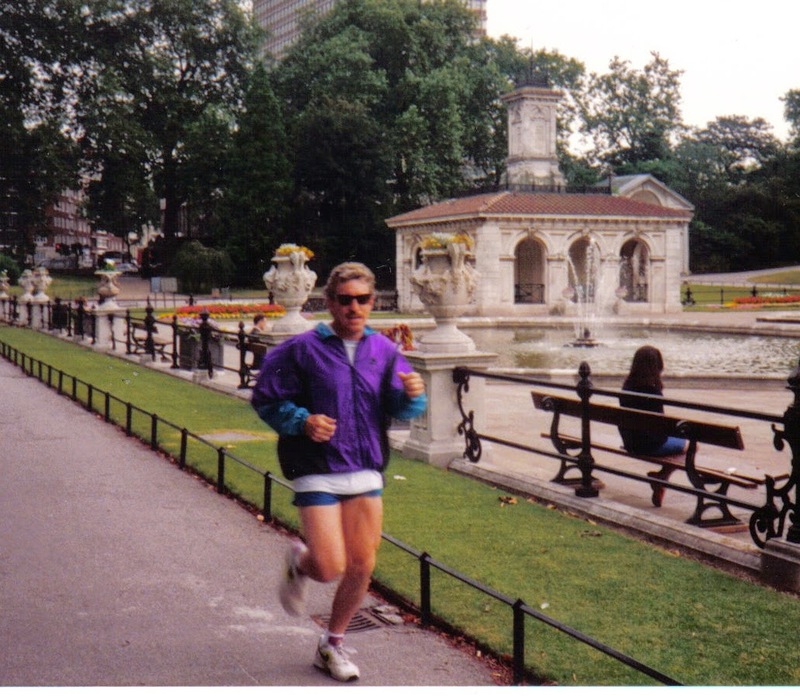 In an early blog post titled "Aging Gracefully", I wrote about my decision to join a fitness center, a gym for short, to change up my exercise regime after being just a long-distance runner for the past 34 years. And how for most of those 34 years I assumed running would be enough to last my lifetime, and that I didn't do gyms, and that I thought I could run forever. And that I was wrong and the time had come to make a change. I'm pleased to report that so far it has been going better than I expected, that I'm already seeing progress and that I'm actually enjoying the challenge and change in routines. I had built up a long list of reasons why I didn't do gyms: too many people fighting over the equipment, too many beefcakes strutting around like peacocks, too much inconvenience when just throwing on your running shorts and shoes was all I needed before, and the list goes on. To my surprise (and relief) what I discovered was not at all what I expected: there is a wide range of diversity in age, gender, physical condition, and fitness level at the gym I joined. Everyone seems to be there for their own reasons and goals- to get fit, improve their health, wellness, or whatever. And I have to admit I kind of like the feeling of being in a place where we are all working towards something positive even if we don't know each other. Here comes the part where you might want to look away. What I wasn't prepared for and that I hadn't anticipated was the naked guy part. The walking into the locker room on my first night, ready to meet my trainer and get to work and the first thing I see are naked guys. Everywhere. There's nothing quite like being a 62 year old and feeling like you are right back in the first week of junior high again. Yep, required showers in PE class with Mr. Landis sitting there checking off your name as you exit the shower, sans towel. I got a rude awakening in male culture when I transferred from the Catholic grade school into the public junior high school in 7th grade. I had no prior experience in locker room etiquette. I'm still resentful at my Dad for not teaching me about jock straps. And it was standard operating procedure to pile into an open shower room after PE with a bunch of other naked guys, in this case, classmates. I instinctively learned that you always keep your eyes up, never looking down there and rarely looking right at another naked guy while showering. Kind of like the viewing of a solar eclipse...never look directly at it or else! Thus, the art of mastering the 20 second shower or finding away to skip it all together become a fine-tuned habit. Since I was never a jock, showering eventually became a private moment for me, short of the few times as an adult when it was necessary to shower with strange naked guys. Or even familiar naked guys. Like the times while in my 40's I did long-distance bike rides with several thousand people and the guys all showered in high school locker rooms at night. I'll admit to paying $5 dollars for the use of a private shower rigged up on then back of a semi, just for a little privacy. So here's what my routine is now. When I enter the locker room, eyes properly averted, I look for a row where there doesn't appear to be anyone using a locker, in hopes of a little privacy. But invariably, when I finish my workout or return from the shower, lo and behold, there's a naked guy. I guess the old adage "you can run but you can't hide" rings true. There seems to be no agreed upon standard about wearing a towel around your waist on the way to and from the shower or simply letting it all hang out. Free as a bird! And today, there was a guy who went into the hot tub, which is located right next to the showers, naked! No shorts or whatever. Is that against the rules? Am I the only one who is concerned about this? I hope those of you who dared to read on after I warned you earlier know that I'm being facetious about these concerns. And that there aren't any guys "parading around the locker room" as I alluded to earlier. Whatever awkwardness I've experienced has been worth the results and the good feeling I'm getting about changing my routines and growing as a person. 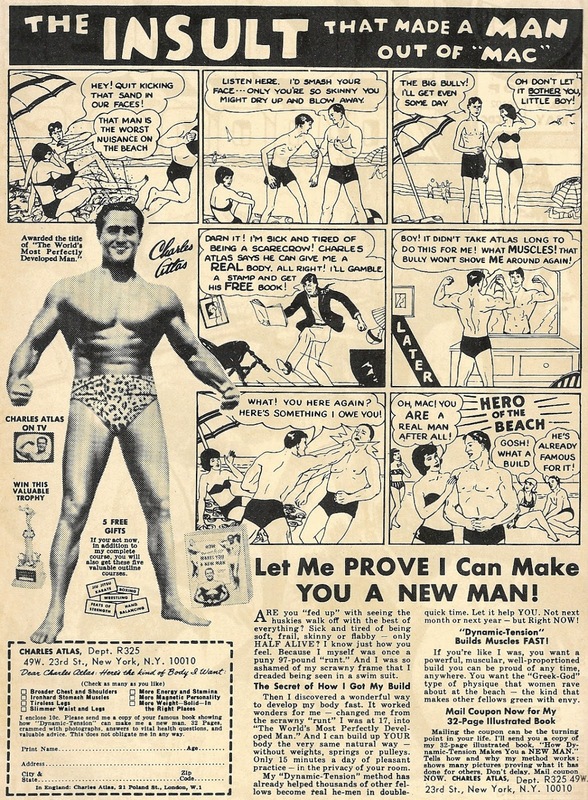 So if Aging Gracefully means getting used to naked guys, I'm ready to accept the challenge. I might even learn to become a naked guy amongst naked guys. And not feel like I'm junior high all over again. *** I thought it was best not to include photographs in this post as is my usual practice, thus the pop art pieces instead. We are about 2/3rds of the way through spring here in the heartland and it won't be long before summer takes over. I'm in my 62nd year on this earth and I've come to love spring, claiming it as my favorite season. Fall is a close second, followed by summer with winter finishing dead last. I wandered through the garden last evening soaking in the sights and smells of the spring flowers that were coming into bloom. Irises, peonies, and lilacs with their striking colors, textures and sweet, sweet fragrances. The cold and bleakness of the winter we all seemed to barely endure seems like a distant memory, although it wasn't that many days ago that we had a near killing frost and a record low temperature for May 15th. What is it about spring that makes me and so many others long for her arrival every year? 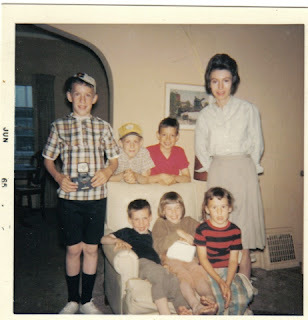 We moved from Oskaloosa, Iowa to Des Moines in early June of 1960. I have a clear memory of the station wagon pulling into the driveway of our new home, jumping out and then running into the back yard only to be greeted by blooming lilacs, iris, peonies, bleeding hearts, violets and lily of the valley. 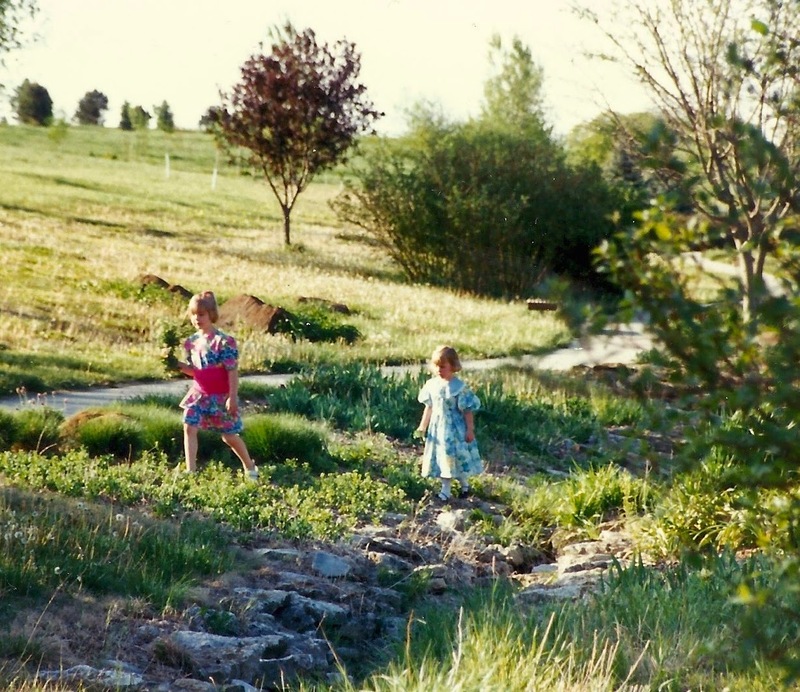 While it wouldn't be long for the 8 of us Kingkade kids to completely destroy the backyard and all it's wonderment, that memory has remained with me and I'm reminded of it often at this time of year. Spring became a more cherished season much later in my life when my senses, awakened by the gift of sobriety and the discovery of a new love, began to experience the season through the role of a gardener. 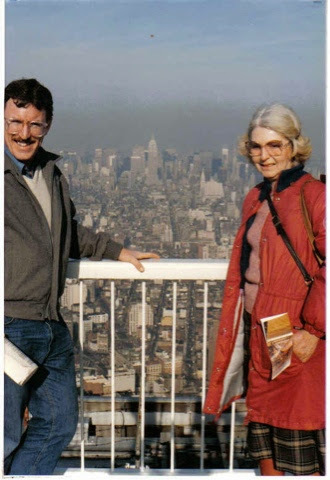 Before we were married and early in our relationship, I accompanied Georgette to a garden center in the spring of 1996 to help her select the annuals that she annually (pardon the pun) planted in her yard. "Would it be OK if I planted a few things out back, behind the fence? There is a little spot I could dig up and start a small perennial bed?" Something like that. She said yes and I was off and running...the gardening bug took hold and it's been a passion of mine ever since. Gardener or not, the flowers of spring are more than a sign that the starkness and bleakness of winter has passed. As nature awakens from her deep slumber, we are captivated by the vivid colors and fragrances of spring like no other season. Our senses of sight and smell are tantalized. This week, the dwarf Korean lilac, Little Kim bloomed and her fragrance has us falling in love with her all over again. And for that alone, we long for and cherish spring. Spring also opens the door to summer and closes the door on winter. It's an optimistic season, as evidenced in the phrase "hope springs eternal". She doesn't always arrive on time but she has never failed to deliver on her promises. And this year, after a particularly long and rough winter, she is here in all her regal glory once again. Not to be morose, but I don't know how many more springs I will have to experience.10, 20 or more perhaps, but probably not 62. For me, spring won't last forever, but for the rest of the world, she will come again and so will her flowers. That is the promise of spring. When: May 17, 1997, approx. 4pm. Where: Mahoney State Park, located alongside I-80, halfway between Omaha and Lincoln, Nebraska. Outdoors near the trail alongside the waterway and bridge. Witnesses: About 75 family members and close friends, 2 officiants, and various campers and park dwellers unaccounted for and the shirtless guy. The crime: Taking a chance on love. Their plea: Guilty as charged. 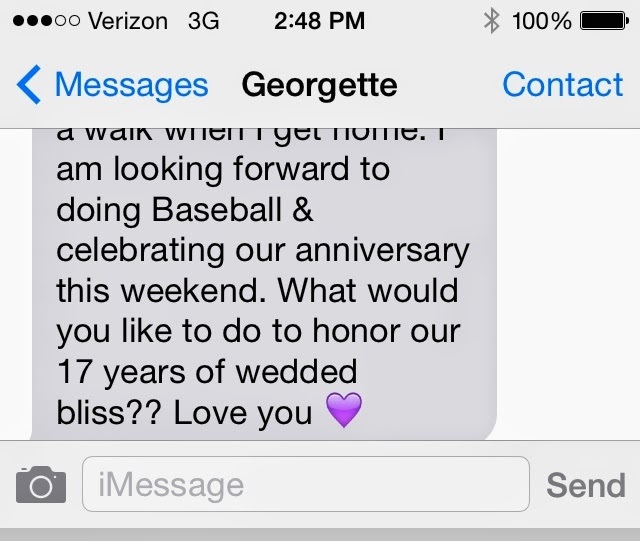 I got a text from Georgette asking what I would like to do to this weekend to celebrate our 17th wedding anniversary. 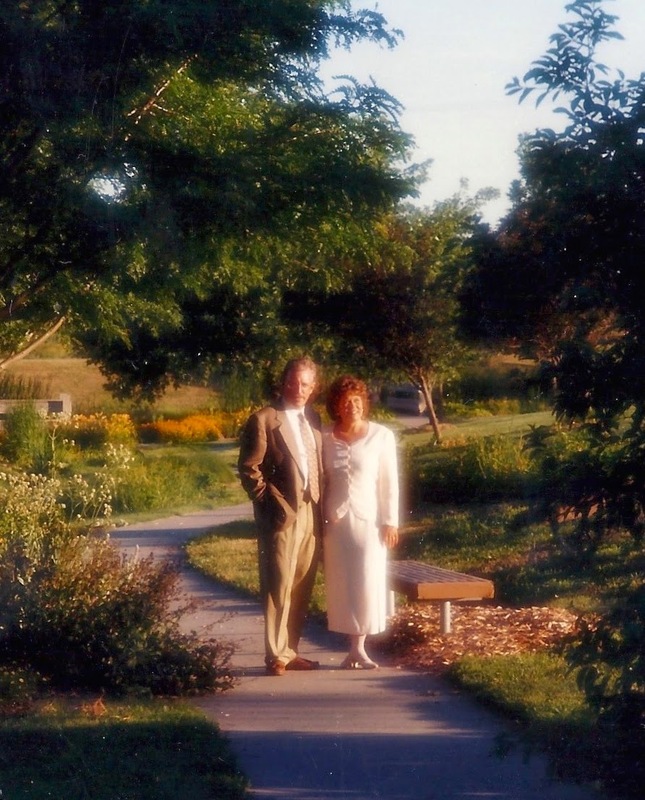 I suggested that we return to the scene of the crime which is our couple-talk for the place we were married, Mahoney State Park, just outside of Omaha. "Let's take Grace and maybe have a picnic if the weather is good" I suggested. Yep, we got married at a State Park and nope, it wasn't a hippy wedding. It was actually a pretty cool event. The setting was lovely-in front of a waterway adorned with perennials and alongside a meadow. Some of of our younger guests picking flowers before the service. Music was played pre-service from a cool, battery powered speaker system. A male/female ministry team led the ceremony. And 75 of our closest family and friends (minus my mother who wrote back that it wasn't a good time for her to travel so she wouldn't be attending) attended along with the shirtless guy. The spot we had selected was in front of a bridge along a waterway, right in the middle of the park where two paved walking trails converged. It was picturesque, close to parking and would make a lovely setting for an outdoor wedding. The wedding party, Pastors Frank and Elizabeth just before the ceremony began. We were told we could have the ceremony outdoors but that it was a public park and we couldn't keep regular park visitors from the area. In other words, people could use the park anyway they wanted, whether there was a wedding going on or not. And because the location we choose had the paved trail running through it, we couldn't prevent anyone from just wandering throughout the middle of the ceremony. 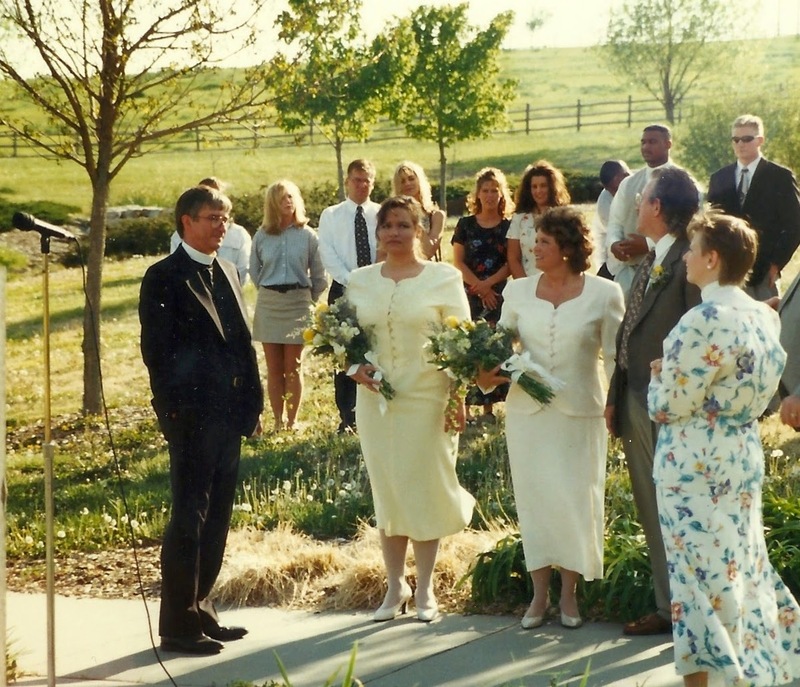 We decided to take our chances and hope that people who might be out walking on the trail and came upon our wedding would discreetly take a different route or walk around the ceremony on the grass, again discretely. Politely. With some class. And it was mid-May, how busy would the park be that day anyway? So as our guests arrived at the park and gathered on the grass in front of the bridge where the ceremony was to take place, music began to play from the portable speakers. Mary Chapin Carpenter singing John Lennon's "Grow Old With Me" and Marc Portmann's "Come as You Are" were the last two songs to be played before the ceremony began. The two ministers were standing on the trail in front of the bridge. The wedding party was there visiting with the guests who had gathered to witness this wonderful occasion. It would be more than obvious to anyone who came across this location that an event of some kind was occurring. A classy event, albeit outdoors. In a state park. To anyone but the shirtless guy. Just minutes before the ceremony was to begin, a guy wearing shorts and no shirt (and if my memory serves me correctly, he had kind of a Vanilla Ice type hair-cut) came wandering across the bridge and proceeded to saunter right through the middle of the area where the ministers were standing. He was followed by a woman (maybe she was Mrs. Shirtless) who was wearing a shirt, thank goodness. I'm not sure what they were thinking but maybe it was something along these lines. " I'm out for walk, I pay my taxes, I'm going to get my money's worth." Can you say clueless? Can you say rude? Can you say "show some class!" The good news was they didn't stop to observe and but proceeded on their "I pay my taxes" walk and the moment passed. The wedding went on with out any more uninvited guests. The reception in the lodge was a blast. And we've been happily married ever since. Which is what this story was supposed to be about all along. Then why the "scene of the crime" reference, you might be asking. Just a corny thing we say as we drive by the park on our many trips to and from Omaha and Lincoln over the years. "There's the scene of the crime...yuk,yuk,yuk" one of us will say as we drive by the park. Yeah, it's corny, I know, but isn't most couple-talk? I guess if there was a crime committed that day is that we dared to believe that we could both have a happy, committed and long-lasting marriage....again. At that stage of our lives, it would have been easier in many ways, less risky in some other ways and much safer to just leave well enough alone. But we didn't. And so far, I don't have a single regret. And we are both breaking records every day. Love isn't always enough. But in this case, it prevailed. And the shirt-less guy? Probably still clueless. But he gave us the best memory of the day or at least the one we laugh about the most. I'll leave you with a sampling of the 2 songs that began the ceremony. Just imagine a shirt-less guy, in cut-off shorts and a Vanilla Ice hairdo walking the background. "Grow Old Along with Me"
I'm reading all kinds of posts today on Facebook about mothers, most of them eloquent, grateful and touching tributes to the women who made sacrifices, showed encouragement and provided consistent loving guidance to the children they raised. I'm envious and I shouldn't be. I'm envious because that's not my story. Sometimes I wonder how things would have been different if I had a mother who was more like those I'm reading about in those tributes. But I know better. I can't change the past. It is what it is. Acceptance. Forgiveness. Gratitude for the gifts I was given. I've been working this process for many years now and just when I think I got it down pat, Mother's Day comes along and stirs the pot. It hit me this week when I was in the greeting card aisle at Walgreens picking out cards for Georgette. As I was scanning through the rack of cards, noticing all the flowery language and overly sentimental expressions, I thought to myself "well at least I don't have to look for a card that is neutral". You know that card? The one that is more of the "have a nice day" variety than the "you're the best mother in the whole world" variety. A little context here. 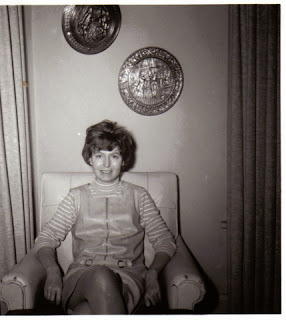 To say my mother was a unique and complicated person is a bit of an understatement. She had 8 children in 11 years and then became a feminist in the late 60's and early 70's. 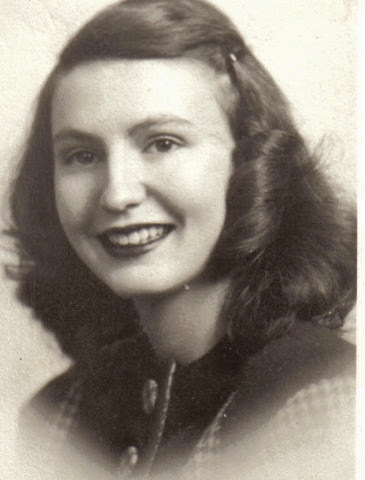 She and my dad divorced in 1974 and somewhere around that time, I remember her making a statement that in summary, rejected the notion of Mother's Day. And a comment about how it was just a day to keep women in their place. And don't be giving her any of those kitchen gadgets like measuring cups or potholders. About the time Mothers Day was rejected. So I stopped celebrating Mother's Day somewhere around that time. Off the hook. Free from the obligation to browse the card racks looking for not-so-sappy cards. After she moved to New York City in 1980, where she lived for over 25 years, I never saw her on Mother's Day and rarely called, let alone sent a card. I'm not sure what my other 7 siblings did. It stayed that way until I married a mother, a wonderful mother, I must say. Georgette is the mother that those cards in Walgreens are meant for. She is gracious, loving, supportive and consistent. 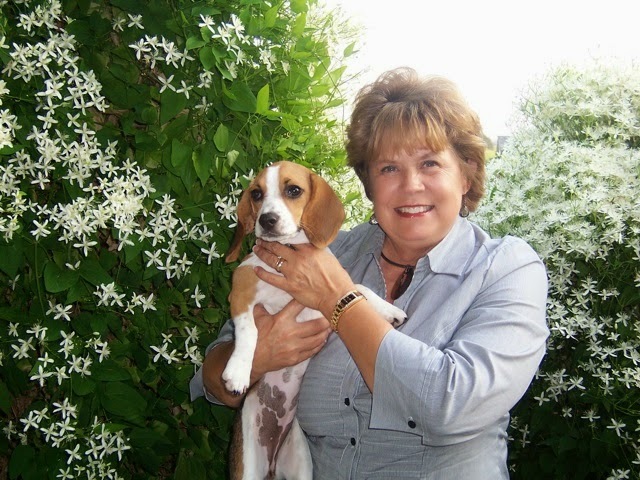 She raised 2 children, mostly as a single mom, with joy, a sense of family and continues to be a positive, stable presence in their lives today. Her "give them roots and wings" and "you don't own their souls" beliefs continue to guide her as her children have grown into adulthood and become parents themselves. When we first met, Georgette couldn't really understand why I didn't honor my mother on Mother's Day. I tried to explain it to her and even though she accepted my story, it just didn't make sense to her. Even after she met my mother and "saw for herself" she always nudged me to at least buy a card. Even if it was just a "have a nice day" Mother's Day card. I have to admit that Georgette' s influence on me was profound. In spite of my mothers ambivalence about her role as a mother to her adult children, I became a better son to my aging mother. On the Mothers Day card I wrote to Georgette today, I wrote that "it has not been lost on me that I have benefited from all the love, support and grace that your children have experienced all these years". Today, I honor both of the mothers in my life. The one who gave me life, passion, self-assurance and my own soul and the one who has shown me about what parenting adult children can be at it's best. Some of the best lessons I've learned, have been lessons I learned from a mother. The one I had and the one I married. 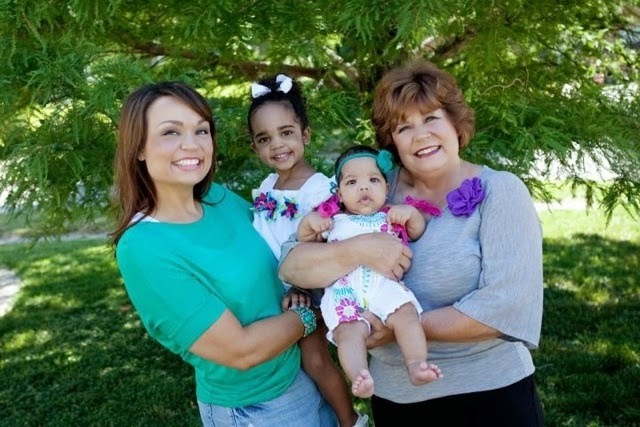 Three generations of the women in my life. I thought I could run forever. Literally. Imagine me at 75 or 80 years of age, out in the elements putting one foot in front of the other on a brisk spring day. I'm on the trail near my neighborhood being passed by bikers and runners much faster than me but I'm still trudging along at a comfortable, steady pace. In my mind, they are envious of this old guy, guessing my age and generating thoughts like "look at that old fool" or "good for you, gramps, good for you!" My plan was to run forever. I believed that running was to be my primary form of exercise and the only form exercise I ever really needed. And why not? 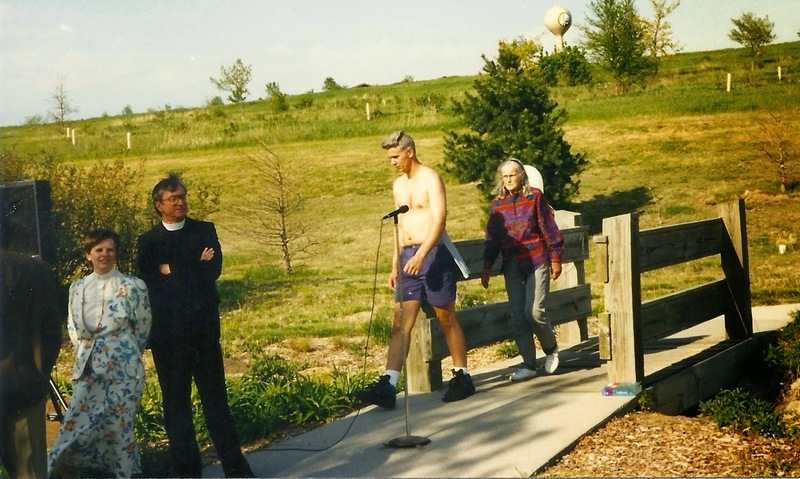 It has been for the past 34 years ever since I started out by running a section of gravel roads adjacent to the high school in Parkersburg Iowa back in 1979. "Hey Doc, wanna go run with us?" I was teaching summer music lessons and some of the coaches were hanging around the high school gym. "Sure, why not". I was just looking to fit in and to be one of the guys. As the band man in town, that wasn't always the easiest thing for me to do. So off we went, about 4 of us. My goal was to just keep up and to not embarrass myself. But a funny thing happened about mile 2. I found myself inching ahead and maintaining a slightly faster pace than the others and pretty soon I was leaving the group behind. "I'll meet you guys back at the high school" and off I went In a cloud of gravel dust. Now I'd being lying if I told you I didn't gloat just a little bit as I stood in front of the school watching them finish the last hundred yards heading up to the parking lot. 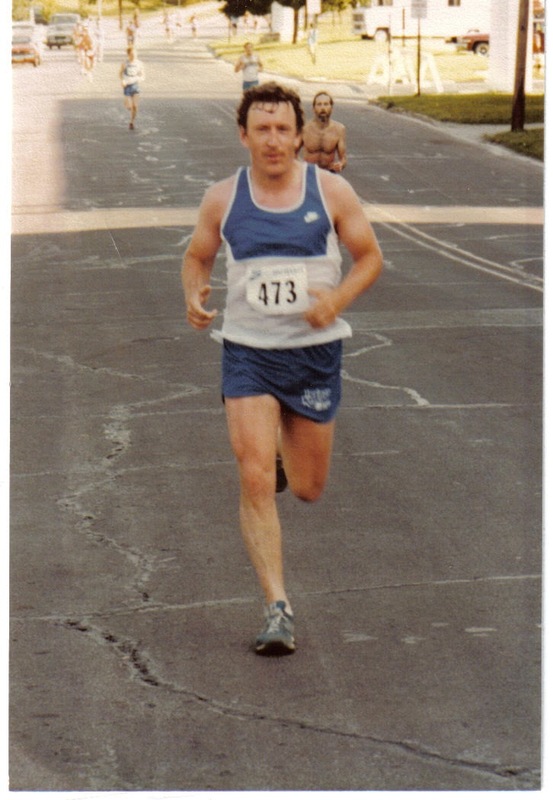 I count that moment back in the summer of 1979 as the start of my running life. From there, I went on to run my first 10k on the 4th of July in Independence, Iowa ( yes, there is such a town) at 8am and in 80 degree heat. 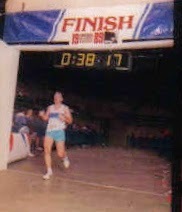 During the 1980's through the mid-90's I ran in hundreds of 10k's and half-marathons and even 2 full marathons. I ran in small towns and in New York City. In extreme heat and in the cold and snow. I burned through more shoes than the shoemaker's elves could cobble. I nursed my way through nagging injuries and ran on some days when I should have taken the day off. I had my own subscription to Runner's World. I got offended when someone called me a jogger. On average, I estimate that I've logged about 1200 miles a year for the past 34 years. That's about 40,000 miles, give or take a mile or 2. 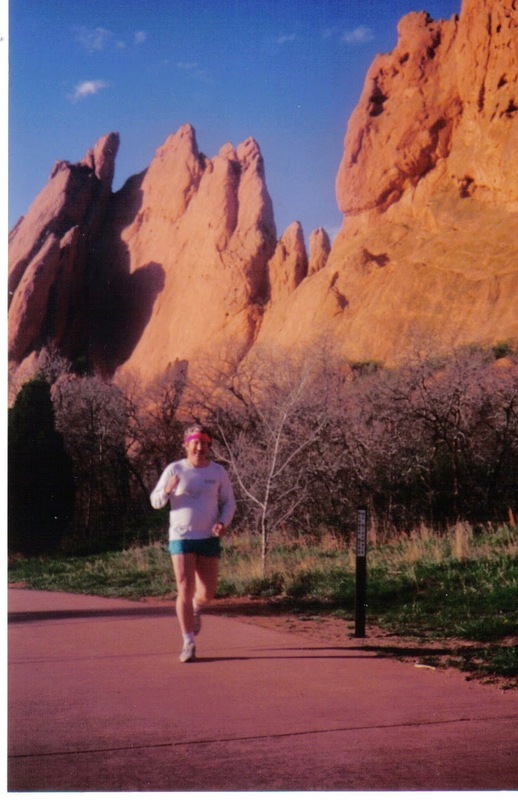 For the past 20 years, running has been only for fitness and well-being-no more personal bests or running events for this "seasoned" runner. And as recently as 3 years ago, I was running about 5 times a week on average, always for at least an hour per run. About 3 years ago, my running started to change. It was getting harder to maintain the frequency and distance I was used to without a few more aches and pains. My willingness to grind through the early morning runs and weather challenges that I used to take on with an attitude of defiance was fading. And my doctor was pestering me. "You need to hit the weights." That wasn't the first time he'd said that. "At your age, you naturally lose muscle and gain fat. You need the hit the weights". My "unwilling to age gracefully" voice was whining back at him..."but I'm a runner. I don't do weights. I don't like gyms. Can't I just run?" Then last week I went to a health fair at work. There was my my doctor, giving a presentation on healthy living (aging gracefully) for people over 40. And when asked about exercise, he stated his case again. "Get to the gym. Sure, keep doing your cardio, but hit the weights." For some reason this time I listened. Actually, I did more than listen, I joined a fitness center and have a meeting with a trainer this week. Somewhere along the way, I realized that I could age gracefully by making adjustments to my fitness regimen or I could age ungracefully by keep doing what I've always done, in spite of not getting the results I wanted or used to get. This aging gracefully thing has applications in about every aspect of my life, I suspect. When I made a career decision to leave the world of business travel behind 3 years ago, that was an aging gracefully thing for me. I still go to work, I just stay out of airports and rental car lots these days. When I hired a guy to do my heavy garden and yard clean-up this year, that was aging gracefully. I imagine there will opportunities to age gracefully that I haven't yet encountered or considered, but I like the idea of aging gracefully. So this runner, who said for years that he doesn't do gyms and weights, is going to give it a shot under the guise of aging gracefully. Just don't get me wrong-I'm not giving up running. 3 times a week might be just fine. And I still think I can run forever. 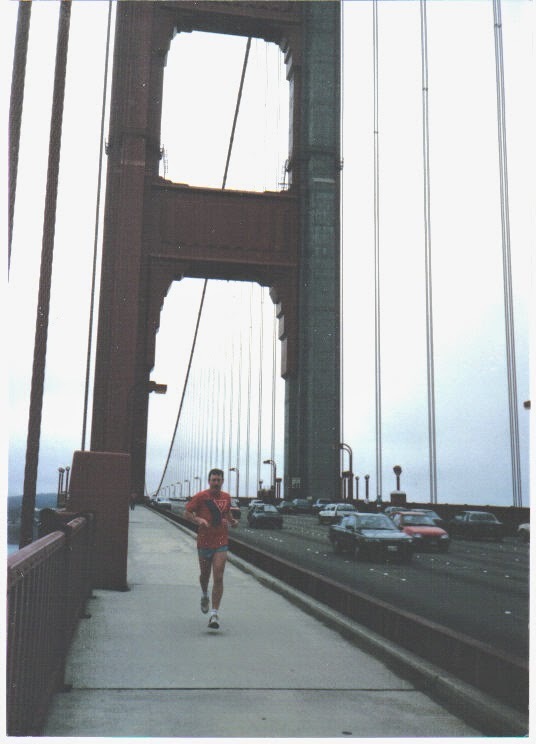 Golden Gate Bridge, late 80's.